The devoted Ajith fans all over the world are getting ready for a grand Diwali release and in the mean time, Vedalam is busy creating records. Right from the teaser, Vedalam is making the right noise and now, the Siruthai Siva directed Ajith starrer will be the first ever Tamil film to have a release in Poland. Though the worldwide market seems to be promising for Tamil films, this expansion is a definite kick-start and to be precise, November 10th will also be the first ever time an Indian film will have a direct release in Poland. Banking on Ajith's box-office opening prowess, the producers will vouch for a smooth release, capitalizing maximum on the first few days. Fans from Poland, get ready to make this Diwali a 'Thala Diwali'. Want to know a film that is close to Suriya’s heart? Ajith and Kamal to back out? 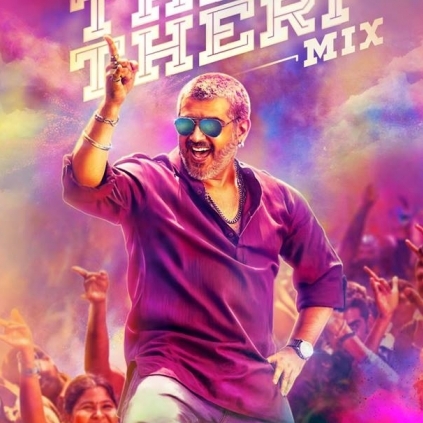 Ajith Starrer Vedalam's Veera Vinayaka Song's Promo Will Be Out On 29th October By 12 AM? Vijay, Ajith, Vikram And Suriya In A Multi-starrer! People looking for online information on Ajith, Anirudh, Siruthai Siva, Vedalam will find this news story useful.